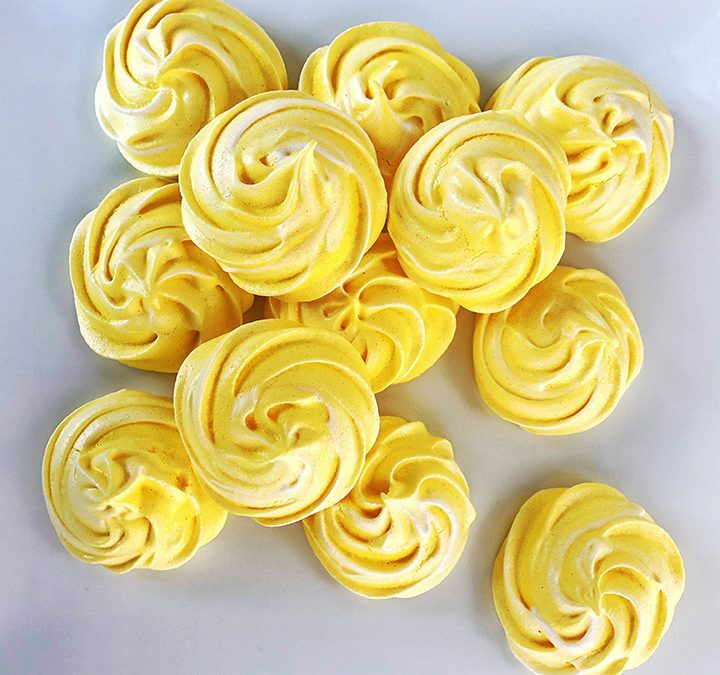 Using only 5 ingredients, meringue cookies are some of the simplest to create. Egg whites are whipped to stiff peaks then dropped or piped onto cookie sheets and baked at a low temperature to dry to a crunchy delight. If you don’t like banana, you can substitute your favorite flavor extract. Preheat oven to 200˚F. Add pieces of parchment paper to cover two baking sheets. Using an electric mixer, beat the egg whites, salt, cream of tartar, and banana extract until firm. Slowly add sugar in a stream while beating into the egg white mixture. Drop or pipe by onto the parchment lined sheet trays to make 15 cookies per sheet. Bake for 2 hours. Turn the oven off and leave the cookies in the oven to cool, 2 hours or up to overnight, to dry. Makes 30 cookies. *process the sugar in a food processor for 1-2 minutes until ground fine.